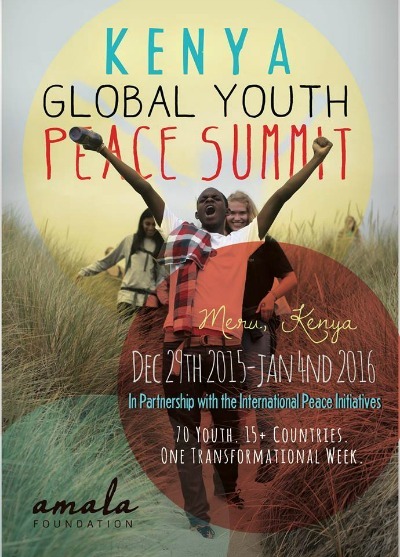 International Peace Initiatives, in partnership with the Amala Foundation, is happy to announce this great youth event to take place in Meru, Kenya. Dec 30th 2015 to Jan 6th 2016. PLEASE NOTE THE CHANGE OF DATE! For more information, contact the Amala Foundation or International Peace Initiatives, Kenya (ringerambu@yahoo.com; 254 713 937 227). We hope to see you there!